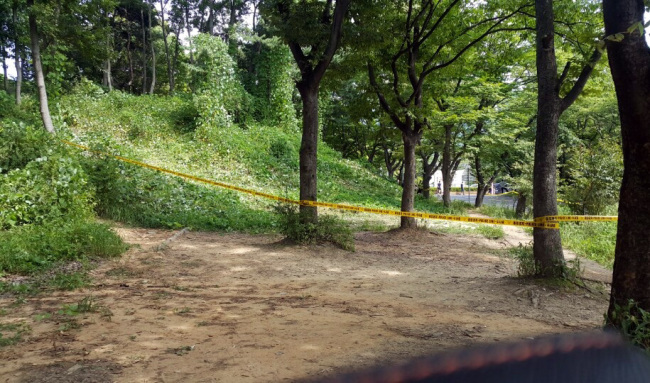 A dismembered body was found in the thickets near Seoul Grand Park in Gwacheon, Gyeonggi Province, just south of Seoul. The torso, presumed to be a man’s, was discovered Sunday morning at around 9:40 a.m. by a park worker in the bushes close to its parking lot. The body was wrapped in black and white plastic bags, decomposition had progressed while clothing still remained. Police found the severed head not far away, also inside a black plastic bag. No possessions were on the body to help identify the victim.